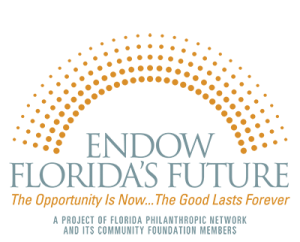 You have a lot invested here – Help us endow Martin County and St. Lucie County’s futures. Since 1970, Florida’s rapid growth has generated enormous individual wealth. Even after the Great Recession, in 2010 the net worth of Florida households exceeded $1.4 trillion – about $21.75 million (or $340,300 per household) in Martin County alone. In 2012, Florida Philanthropic Network, in partnership with several of its Community Foundation members, commissioned a “Transfer of Wealth” study to understand what might happen to wealth as Baby Boomers begin to retire and pass their assets on to the next generation. The study revealed a possible transfer of $51 billion in Martin County in the next 50 years. Over the next 10 years, we could see a transfer of $5.68 billion. Consider this – if we captured just 5% of $5.68 billion, that would translate into $283 million for this community in the next 10 years. Endowing $283 million would spin off $14 million each year to address needs and challenges facing children, women, elderly, families, the homeless, the hungry, human services, public safety, unemployment, education, healthcare, the arts, environment and wildlife. How do we capture the Transfer of Wealth? Endowments create a permanent source of income for the community. Donors and/or nonprofit organizations can set up an endowment at The Community Foundation Martin – St. Lucie to benefit causes or organizations that are close to their hearts. We manage the assets and the nonprofit decides when to access the funds. Pooling assets at The Community Foundation reduces expenses and enables funds to accept a wide variety of gifts. We bring visibility to the endowment fund and protect its permanence and purpose – FOREVER. 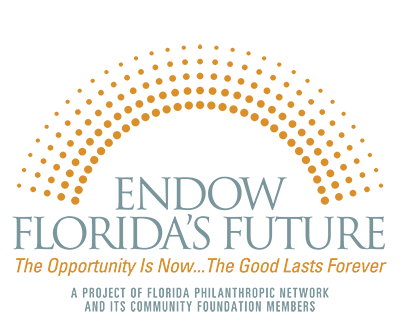 Call Elizabeth Barbella, President & CEO, at (772) 288-3795 to further discuss the Transfer of Wealth opportunity and how The Community Foundation is doing its part to capture dollars for the greater good of this community.